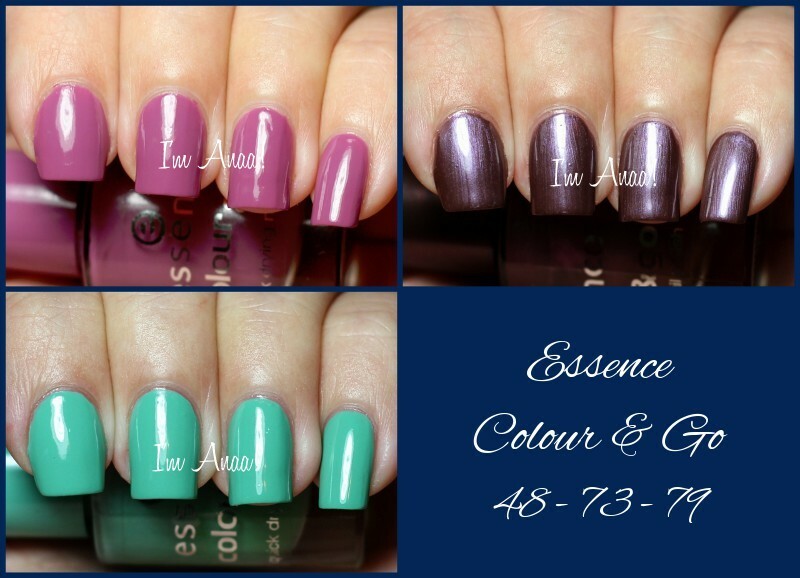 Essence Colour & Go: Meet me now!, Princess Prunella & Viva la Green. Hi guys! It has become a holiday ritual, this week I'm clearing my swatches folder! Today, I'm showing you 3 Essence Colour & Go that I swatched back in November. I already used 2 of them for nail arts but I never swatched them. You may have seen Meet me now! in my Alice in Wonderland nail art ♥, and I used Viva la Green for a dotticure and my (awful) Little Mermaid manicure. I applied 2 coats of Meet me now! for these swatches. Not really in love with this color but it's not ugly... I guess I'll keep for nail art purpose.